Thank you for your recent order. Below is a list of adjustments made to your account today, including price changes, item cancellations and other credits and debits to your account balance. Cancelled items are no longer available; we’re sorry we couldn’t fill your order completely and regret any inconvenience this may cause. We look forward to being of service in the future. 2018-10-01 3.00 Postage credit for OCT 18 order: All items from order canceled. To date, there has not been an Official press release to inform the cancellation of the Diablo Comics. My emails and tweets to some Blizzard Entertainment contacts and to Titan Comics had not been answered for some time, so I went straight to the Titan Entertainment booth at the New York Comic Con (On Thursday) to ask what the status of the Titan Comics Diablo was. The Titan representative informed me that the Diablo comics had been cancelled. So that is now confirmed. Without paraphrasing the representative, the essence of it is that Blizzard is changing direction on the story. In my opinion, the Comics possibly featured a story based on a upcoming Diablo project, and we all know how development of a game goes. Multiple iterations sometimes lead to changing aspects of the creative development. Some of us who were in the World of Warcraft: Mists of Pandaria Technical Alpha might remember how different the flow of the quests in the Jade Forest was. Out of the blue, during beta the entire zone’s story questline structure was remade from scratch. From that point of view, it makes sense to halt production of the Diablo comic. This is the second Comics project cancelled. The first one being Overwatch: Omnic Crisis. I would encourage Blizzard not engage Comics studios for tie-in projects unless the story is settled and final. The game hasn’t been announced yet, and that means it is too early in development. The risk of iteration changes is higher. Hopefully, we can see a Diablo ongoing series in the future, not just a 4-issue mini-series. I think fans would really love a Mature rated Diablo comic with great artists, and a killer story arc. On my end, I am game. I’d pre-order it blindly. Looking through my Kindle copy of Diablo: Book of Cain, the resemblance is 100% accurate. 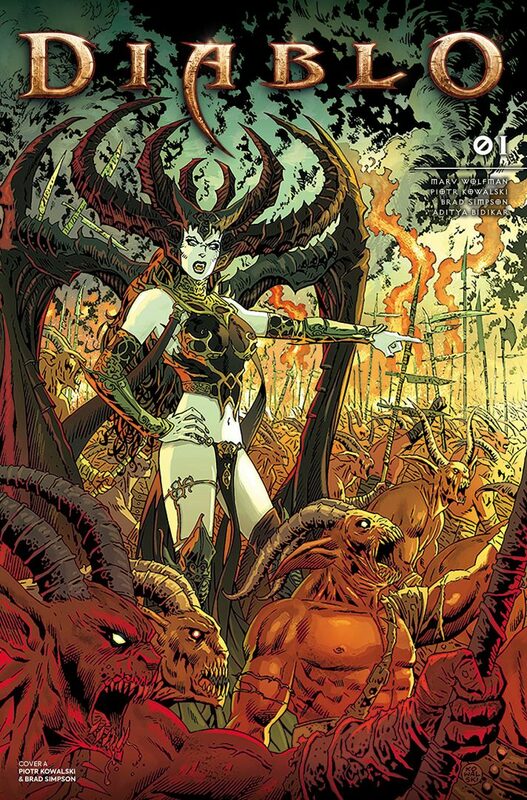 The Titan Comics Diablo mini-series was focused on Lilith. Daughter of Mephisto. Lover of Angel Inarius. 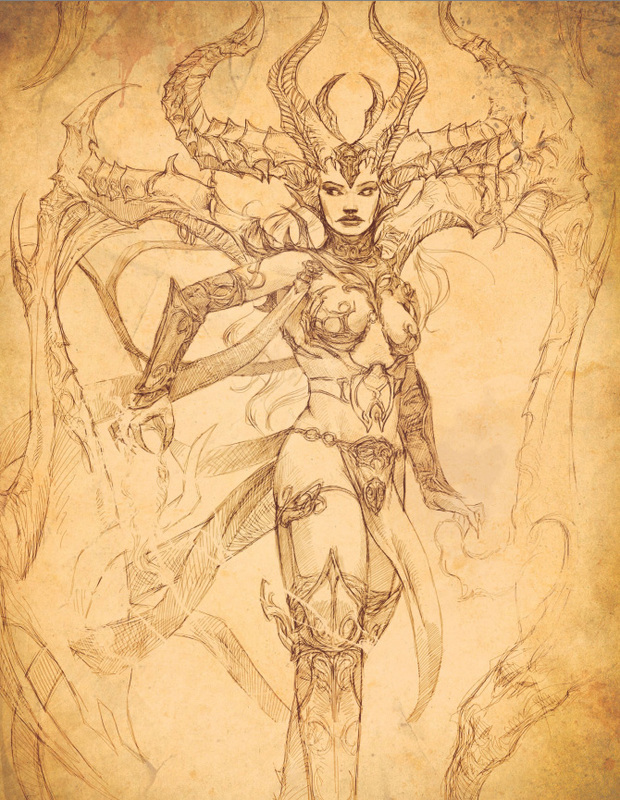 Matriarch of the first Nephalem. If the comic book was meant to be a upcoming Diablo game tie-in, her return might spell doom to the denizens of Sanctuary and the High Heavens. The uncertainty of what happened to the Great Evils and Lesser Evils after Malthael consumed the Black Soulstone, may have left the Burning Hells with lack of leadership. As heir to the Burning Hells, Lilith’s return would certainly mean she will find a special treasure deep in the Chamber of Mirrors… a tormented Inarius.